Ahem (clears throat). Hi. After months of enduring technical glitches in the software I use to compile Facebook status updates, I'm back. Perhaps you thought I no longer cared about My Status Is Baddest. Maybe, you thought I ran off with the circus only to face constant humiliation by a cruel group of elephants and a baby Jaguar named Alfonzo. Alfonzo, if you're reading this (and I know you are), you should know that you are a jerk. Anyhoo, I haven't called or written or posted in three months. You've every right to doubt my commitment to the virtual relationship we have. But, baby...(looks deep into your eyes), I love you. I've...always loved you. Forgive me. I shall prove my love with a few of the best, most hilarious Facebook Status updates from my FACEBOOK FAN PAGE this year. Become a fan of my FACEBOOK PAGE. Become a fan. 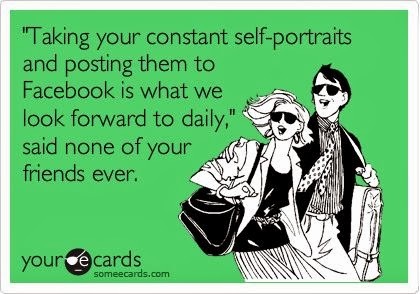 "Like" and borrow statuses often.